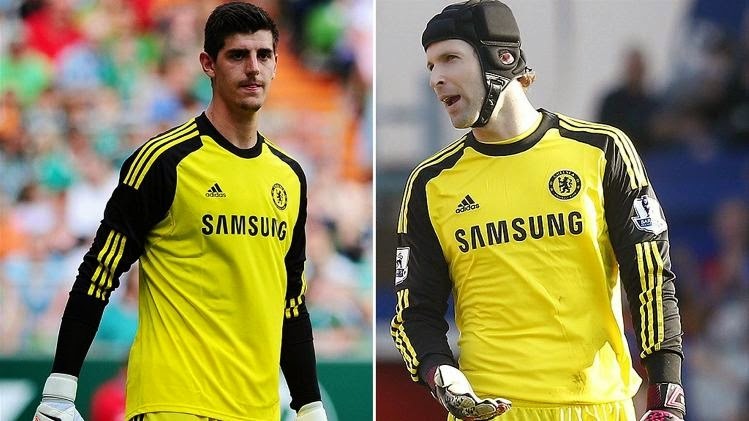 CECH & COURTOIS: Quotes taken out of context trying to envoke trouble! As with any international break, players talk to their local media and comments are often taken out of context, trying to evoke trouble and that's exactly what I personally believe has happen to Thibaut Courtois. I am sure all of you would have seen the headline post along the lines of "Courtois tells Cech to leave Chelsea" or something stupid that is similar. It got your attention though right? That's all this particular article is trying to do, to lure you in and to try and cause internal trouble at Stamford Bridge. However, if you look at what Courtois ACTUALLY said, he hasn't told Cech to leave at all and purely gave us an idea as to what HE would do if he found himself in the situation Cech finds himself in now. "As a goalkeeper you want to play. If I was in that situation where I didn't play a lot, then I would leave too. I think Petr is still a goalkeeper with a lot of quality and one of the best there is." You see, where within that quote has he expressed an opinion that Cech should leave the club or told him to leave? It comes within 24 hours of Cech being quoted, stating that his future is in Chelsea's hands for another two season and he will continue to work hard to force his way back into the team! Don't believe a word of this crap the press are coming out with. With Chelsea sitting top of the Premier League and our Champions League group, they are trying to de-stabilise the harmony in the squad.